The Blue Idol was built as a farmhouse around 1580. William Penn and other Friends in the area bought the building in 1691, after it had been used for Quaker worship for a number of years, and converted it into a permanent Quaker meeting house. For much of the time since then Quakers and visitors have used the building for worship and as a living space. The building has been through a number of names, including: Little Slatters (the original farmhouse), Shipley Preparative Meeting and Thakeham Preparative Meeting. We do not know the true origin of the current name, though there are a number of theories! Today, the Blue Idol is used every Sunday for Meeting for Worship where Friends and visitors gather for unprogrammed Quaker worship. 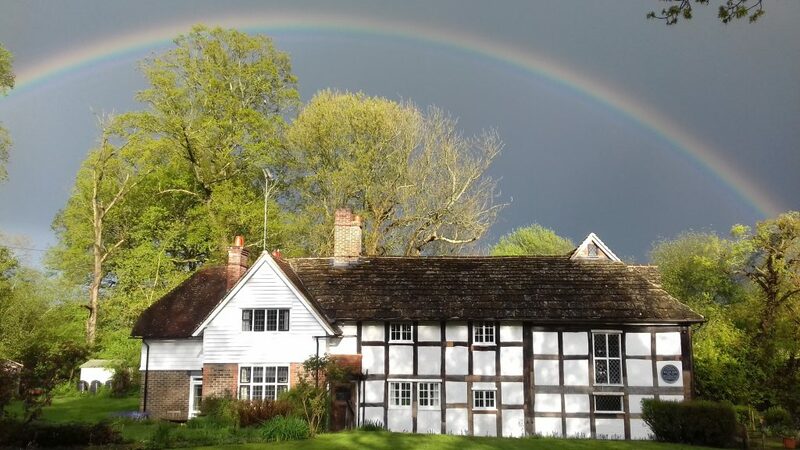 We are concious that we are custodians of what we have inherited and love to share this wonderful space so that others may find peace here too, therefore we are eager to welcome you to visit us for Meeting for Worship, on open days and for planned events. A large garden populated by many birds and rabbits. There are a number of benches and seats around the garden. The main building which is divided into the Meeting House, living space for our Resident Friends and a privately rented home. The building is Grade II listed. A hovel barn which currently houses our exhibition. The hovel barn is also Grade II listed. Two Quaker burial grounds. 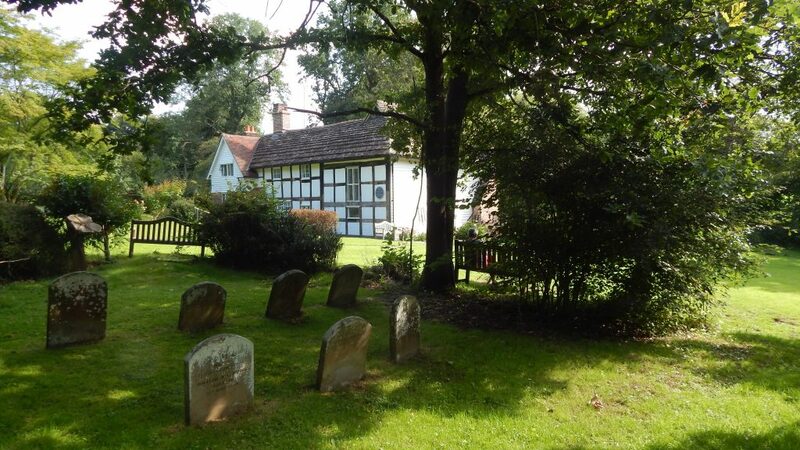 One, now dormant, is in the garden and “The West Chiltington Burial Ground”, currently in use and let to Quakers from 1688 for 1000 years, is located a few minutes walk away.